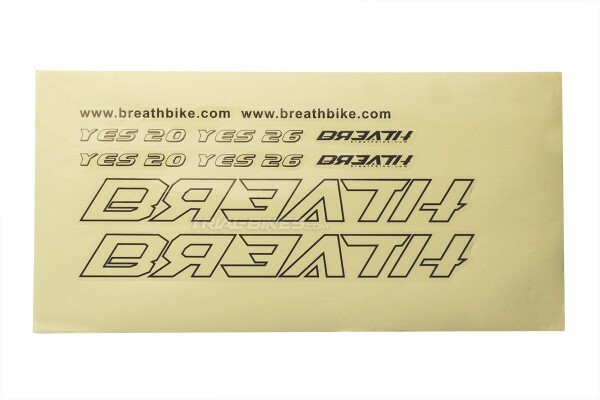 - Complete original sticker set of the Breath Yes 20” and 26” bikes. 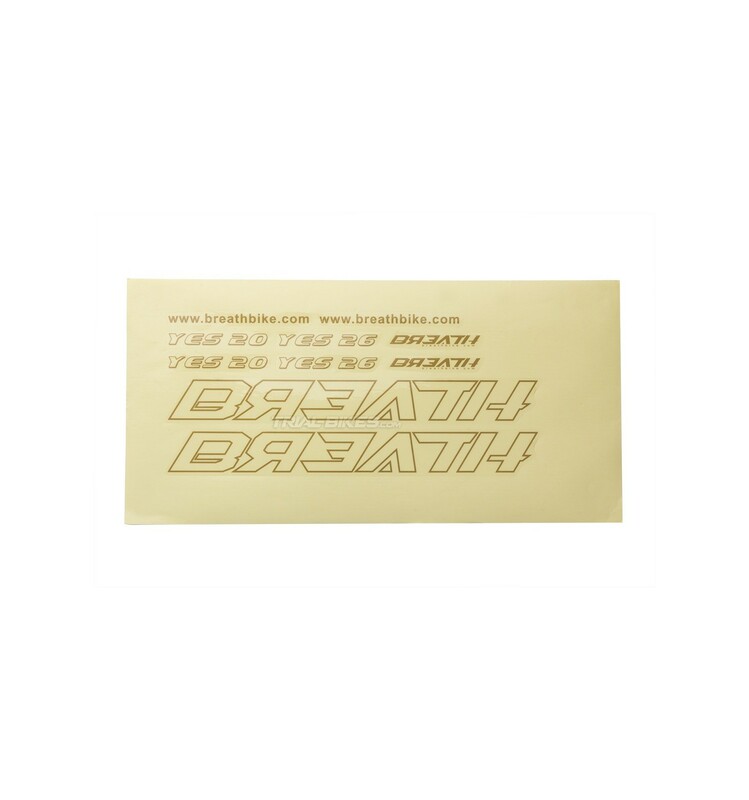 - This set is ideal to replace damaged, deteriorated stickers, but also great to install new stickers after painting your bike frame! - These stickers can also be installed on most frames and any surface. - Each sticker has been individually die-cut, then printed on high quality vinyl. - Easy installation, simply make sure the ends are clean and grease-free. - Includes all original stickers supplied with Breath Yes 20” and 26” bikes. - 2 options available: brown or black, both with a clear background.